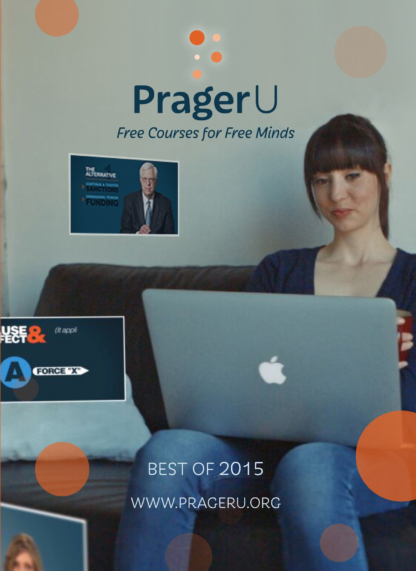 The Prager U “Best of 2015” DVD is a collection of the best thinkers and topics who contributed to the 2015 educational courses. 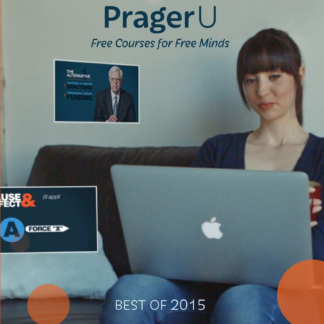 If you purchased the “First Semester 2015” DVD, 11 of the 20 videos below will be repeats. However, Prager U DVDs always make a thoughtful birthday or holiday gift, a fantastic graduation gift, or a fine addition to your own DVD collection. What caused the Civil War? Did the North care about abolishing slavery? Did the South secede because of slavery? Or was it about something else entirely…perhaps states’ rights? Colonel Ty Seidule, Professor of History at the United States Military Academy at West Point, settles the debate. What makes conservatism right? If you’re a conservative, you should know why you’re right. If you’re not a conservative, why should you think about becoming one? Greg Gutfeld, bestselling author of, “How To Be Right: The Art of Being Persuasively Correct”, explains.